Gil Stratton’s story spans from the Golden Age of Radio to the dawn of contemporary Sport’s Broadcasting History. Gil and Judy Garland during the musical number Embraceable You in Girl Crazy. In addition to sportscasting, Stratton’s career in entertainment included Broadway working with Gene Kelly! His notable film credits as an actor include “Girl Crazy” (1943)with Mickey Rooney and Judy Garland, singing “Embraceable You” in duet with Garland, “Kilroy Was Here” (1947), “Stalag 17” (1953) as the narrator and Bill Holden side-kick Cookie, “The Wild One” (1953) teaching Marlon Brando how to ride a motorcycle, “The Cat from Outer Space” (1978), “Inside Moves” (1980) and “Dismembered” (2003). 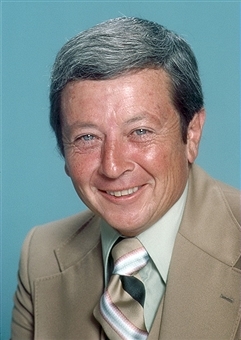 His numerous television appearances included the programs “Dragnet,” “The Red Skelton Show,” “Police Story,” “Wonder Woman,” “Archie Bunker’s Place,” “Cagney and Lacey” and “Remington Steele.” His service to his country and community included included a stint in the Army Air Forces. Gil Stratton riding alongside Marlon Brando in the Wild One (after teaching him how to ride motorcycles). Over his vast life spanning career, some of the famous people and Hollywood celebrities he often told stories about included: James Arness, Desi Arnez, Lucille Ball Arnez, The Bowery Boys, Marlon Brando, Maurice Chevalier, Joan Crawford, Jimmy Durante, Charles Farrell, Alice Faye, Judy Garland, Peter Graves, Phil Harris, Edith Head, William (Bill) Holden, Bob Hope, Jennifer Jones, Gene Kelly, Jerry Lewis, Jane Mansfield, Lee Marvin, Marilyn Monroe, Richard Nixon, Otto Preminger, Debbie Reynolds, Mickey Rooney, Franklin D. Roosevelt (FDR), Jimmy Stewart, Gale Storm, Robert Strauss, Elizabeth Taylor, Esther Williams, Keenan Wynn, and Robert Young. In the world of sports he had stories about the best of the best: Mohammad Ali, Sandy Koufax, Willie Mays, Jim Brown, Jerry West, Wilt Chamberlin, Bill Shoemaker, Lew Alcindor (Kareem Abdul Jabbar), and Jean Claude Killy among others. 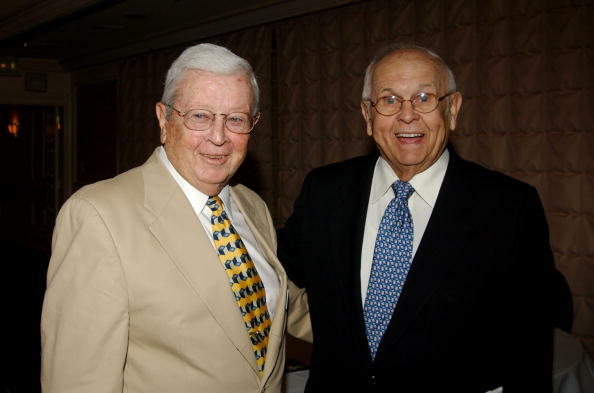 He was the recipient of two local Emmy Awards and six Golden Microphone Awards from the Radio and Television News Association of Southern California, and was an inductee into the Sportscasters Hall of Fame. Even in retirement, Gil Stratton never stopped being an asset to his family, his friends, and especially to his community. He continued to give lectures, serve roles on Community Service boards and worked with the Pacific Pioneer Broadcasters association. 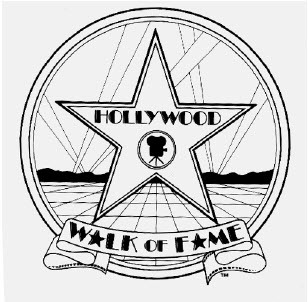 A nomination for a STAR on the Hollywood Walk of Fame was accepted and approved to move forward. It would have been completed, however, sadly, due to financial issues, the star was never installed. © 1996-2017 mm stratton all rights reserved. There is a possibility of text or images used on this site that belong to others. No copyright infringement is implied. These are shared to help educate readers. If you have found anything on this site that needs to be fixed, credited or removed, please contact me.